What is the Coaching Skills Night all about? Coaching is an essential skill for modern PMO Professionals who want to maximize delivery across their portfolios. But what does coaching look like in the PMO context? How do the skills required in the PMO differ from those of life coaches and sports coaches? There are many ways that PMOs can act as catalysts for the organization, but coaching in particular is gaining traction - especially with the rise of agile approaches. Through effective coaching the PMO can help project teams come together and maximize their outputs. PMOs can help project managers overcome skillset and mindset issues. And PMOs can help sponsors act as evangelists and effective decision makers for the projects they sponsor. 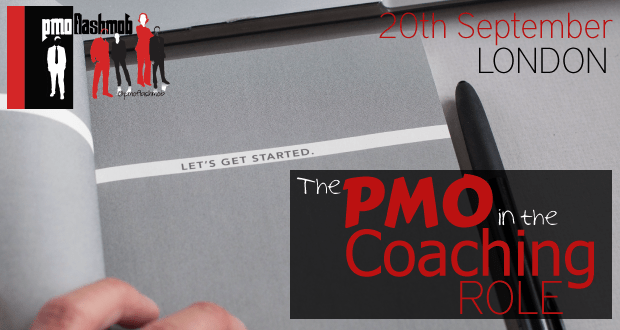 This PMO Flashmob masterclass event dives explores coaching and what it means to be a PMO Coach. The masterclass is being lead by Bekka Prideaux (https://www.linkedin.com/in/rebeccaprideaux/) who is a career and leadership coach with an extensive project management background. What is coaching & why that is relevant to a PMO professional. The spectrum of coaching – what’s included and what isn't. Where you and your PMO should sit on the coaching spectrum. What coaching skills and tools can be used by the PMO. There event promises to be highly interactive and aims to give you tools that you can use the moment you get back to your office.